Whitby Town Council is taking the unprecedented step of hiring a solicitor to take action against a member of the public who has been “harassing” the town clerk. In a heated debate full of mixed opinion it was eventually agreed at a meeting on Tuesday that action should be taken against the elector who is said to have sent “threatening” emails to clerk Pam Dobson. Town councillors also admitted at their monthly meeting that they had failed in the “duty of care” to the town clerk and also her deputy, Anne Cowey. Cllr Noreen Wilson said: “As the employer to the town clerk and deputy clerk, I believe that we have failed in the duty of care to our employees. “The town clerk has been subjected to umpteen emails from this individual and emails that would be described as threatening. The Gazette understands that a “constant stream” of emails have been sent to the clerk on a daily basis over a period of years, followed up by emails stating deadlines by which to respond and that if she didn’t respond within a certain time frame the matter would be taken further and official complaints would be made. Some emails were also sent on Christmas Day. It is also believed that communications between the town clerk and the individual have been going on for years but the last message was deemed a step too far. 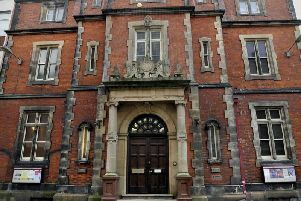 The contents of it were shown to Ellis Whitam, HR specialists and legal advisors to the council who were “shocked” by its contents. Their recommendadtion was that the twon council hires a solicitor to draw up and send a legal letter to the elector concerned. However, the course of action wasn’t backed by all members with Cllr Amanda Smith saying legal action wasn’t necessary and Ian Havelock saying it wouldn’t stop the elector concerned. Cllr Smith said: “Would the solictor be taking action on behalf of the town council? This would appear to be a non democratic process taking place to control democracy. He and Cllr Steve Smith voted against sending the legal document, Cllr Amanda Smith abstained while the rest of the members in attendance voted in favour of sending it.